You've scheduled your visit, now what? From important questions to a full appointment checklist, here's where you'll find everything you need to prepare for your next office visit. 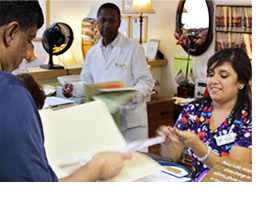 • Copies of any tests, x-rays, or medical histories relating to your medical problem. • A list of all current medications taken on a regular basis, including over-the-counter and herbal medications. If you need to be hospitalized, we will coordinate admittance arrangements and provide the hospital with information prior to your arrival. How serious is my disease or condition and how will it affect my life? Can I be tested for a disease or condition, and what will these tests tell me? When will I know the test's results? Will I need a follow-up visit and when?